Have you ever noticed someone whose smile looked so dazzling, with uniform, straight, glowing teeth, and wondered how in the world they got such a smile? Well, it could be that they were born with an immaculate set of teeth, but that is not necessarily the case. Sometimes perfect smiles are born, but many are made. At The Sugar House Dentist in Sugar House, we offer a cosmetic dentistry treatment called dental veneers to anyone in Salt Lake City or the surrounding valleys. Dental veneers can transform your teeth and give you a perfect, dreamy smile that you can show off with pride. Please feel free to contact our office if you have any questions, or if you would like to consult with our Sugar House dentist about getting dental veneers in Salt Lake City. What is a tooth veneer or dental veneers? Basically, dental veneers, which are also known as a tooth veneers, are thin, shell-like porcelain covers that are bonded to the front surface of the teeth to provide a shield of security that protects any weaknesses in the underlying tooth, such as chips, cracks, cavities, and so forth. The concept is simple, and the execution is too. 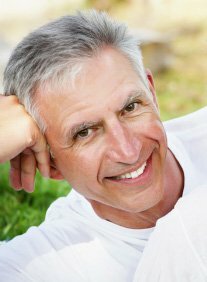 What are the advantages of getting a tooth veneer or dental veneers? A dental veneer is custom made to perfectly fit the shape and contour of the tooth or teeth to which the dental veneer or veneers will be applied. Sometimes, the dental veneer is made to wrap around the tooth to make it look complete if a significant portion of the side of the tooth is missing. We can use dental veneers to correct or cover up a number of common problems that affect a tooth’s surface, including physical damage. Dental veneers are an ideal solution for dealing with teeth that are chipped, cracked, broken, discolored or misshapen. Dental veneers also work well to hide any gaps between teeth, or to cover teeth that are in any other way less attractive than your other teeth, such as one odd tooth that doesn’t match your other teeth. Getting a dental veneer for a tooth is an easy process at The Sugar House Dentist in Sugar House. During your initial visit, Dr. Theurer or an assistant will make a mold of your teeth that will be used to create the dental veneers so that they fit your teeth perfectly and look natural in your smile. Next, we send the mold to a special lab that makes all of the dental veneers we use. The lab will make sure that the teeth veneers are color matched to the rest of your teeth so that the veneered tooth or teeth don’t stand out or look odd in your smile. On your next visit, the dentist will shave off the outer covering of the tooth or teeth that will be covered by the veneers, getting the teeth ready for the dentist to place the dental veneer on top of the tooth and bond it to the surface of that tooth. Finally, when your tooth has been made ready, the dentist bonds the tooth veneer to your tooth. Once it has been attached, the dentist then may adjust it slightly to make sure that it is indeed the right size and shape to match your other teeth and fit in seamlessly. If you get dental veneers for only some of your visible teeth, they will be color matched to your natural teeth. However, if you are getting dental veneers to cover all of the teeth that show in your smile, you have the option to get dental veneers that are several shades lighter than your natural teeth for a lighter, brighter smile. Dental veneers are durable, sturdy and beautiful. If you think that dental veneers are right for you, call us today to set up your initial appointment. We work with patients all over the Salt Lake City, from Sugar House to Millcreek UT!